One of the challenges I set myself for my 30th year bucket list was to cook new dishes and taste at least 15 more foods. When Grace Foods offered to send me a selection of their Caribbean food and drink products to help celebrate Caribbean Food Week, I jumped at the chance to taste some new flavours. 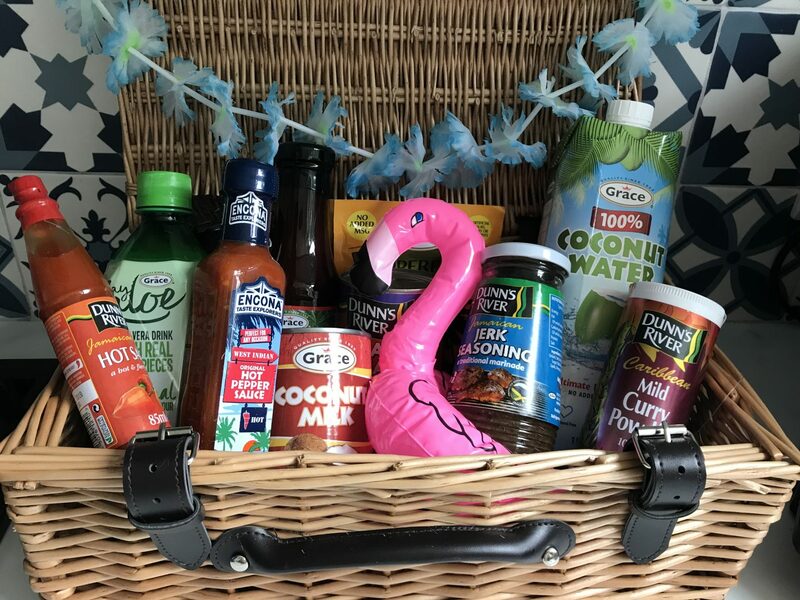 Packed together in a pretty wicker hamper, I received a lovely selection of Caribbean produce. 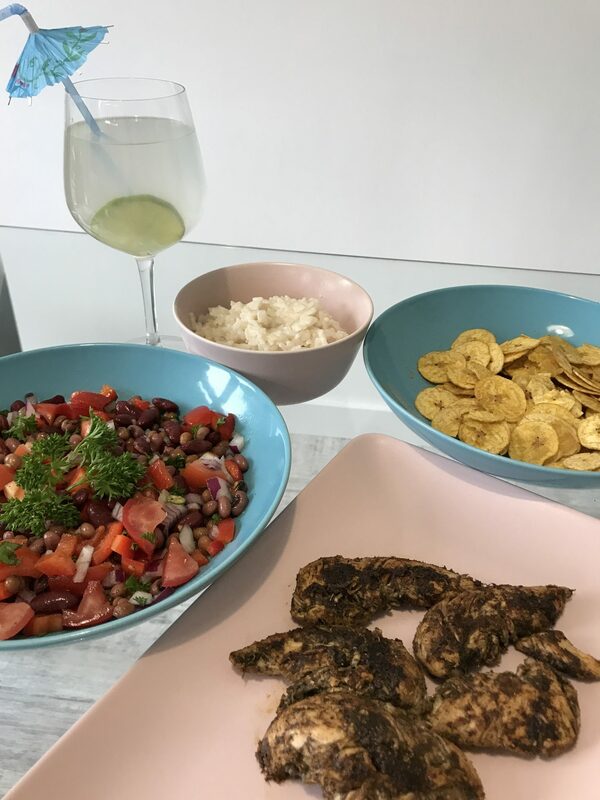 Together with these items, I was given a brief to create a spread suitable for a Caribbean street party. Now, I’m no chef or food blogger, but I knew that if I was to create a Caribbean feast it would be incomplete without a bit of jerk chicken. Obviously no Caribbean hamper would’ve been complete without a jerk rub, so my first dish was a very clichéd jerk chicken. It involved marinating chicken fillets in the jerk seasoning provided. My second dish was inspired by the can of peas and beans in the Caribbean food hamper. On the side of the time was a recipe for a 3 bean salad. 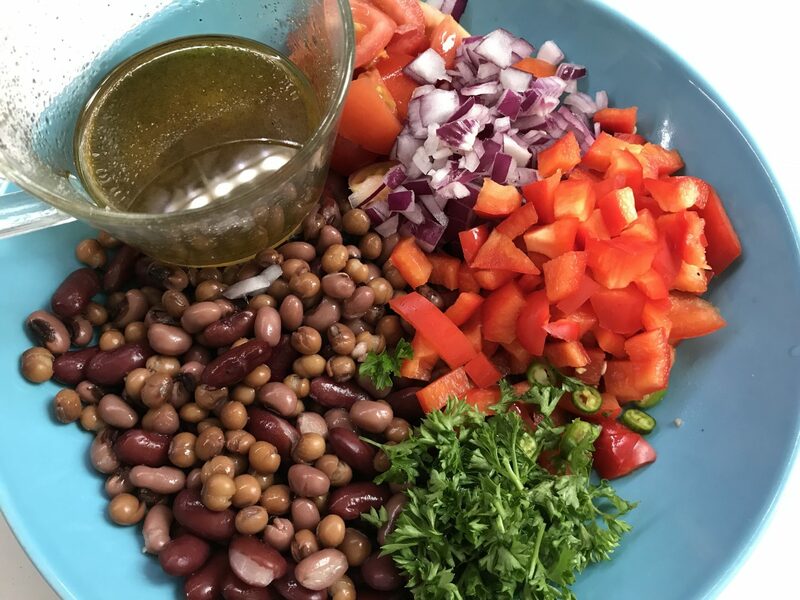 Now, I’m not sure if 3 bean salad is actually Caribbean, but I had pretty much all of the ingredients and it made a dish worthy of any party spread. For someone who needs a fair bit of guidance when it comes to cooking, finding that the instructions on the tin weren’t quite right could have thrown me, but I managed to work with it. I had to substitute the prescribed wine vinegar for the vinegar of my pickled onions, so technically it’s my own twist on the recipe. I’m pretty impressed with this dish and shall certainly be making it again. To recreate, just mix a tin of peas and beans with one chopped tomato, half a finely chopped onion, a chopped red pepper, a finely sliced chilli and a good pile of parsley. Create a vinaigrette with olive oil, vinegar, salt and pepper and mix through. To complete our meal, I made coconut rice without the use of my trust rice cooker, which is a feat in itself. 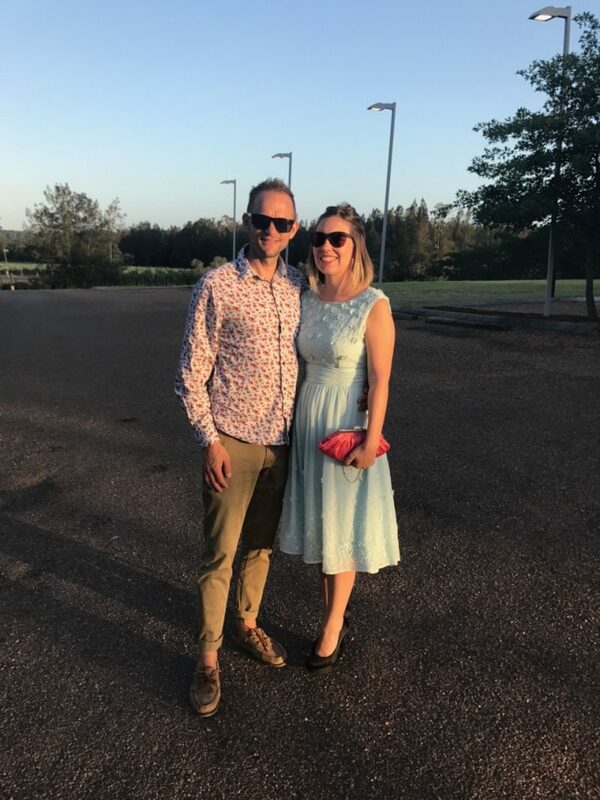 It was very lovely – although I’m not sure my belt buckle would cope with the indulgence too often! My final ‘dish’ shows the extension of my meal preparation creation. I took the bag of plantain chips and shook the with a good scoop of curry powder to create a crisp with flavour. Testament to my skill, we never finished the bag. *My brother is an epic chef. I will never compete with him. EVER.